It's going to be a party in the single town because Vicky Kaushal just confirmed that he is single again. Earlier this year, the Uri actor broke a million hearts when he confirmed his relationship with Harleen Sethi. A few weeks ago, the couple stunned us with their Insta-official breakup. Of course, the couple didn't accept or deny any of this. Until today. In a recent interview, Vicky finally let the cat out of the bag on being repeatedly prodded by the reporters about his relationship status. The actor confirmed his split from Harleen and let out with a sigh that he is in fact 'ek dum single'. "Hanji, ek dum single hoon abhi, dekho... akela." On being further asked if he was 'ready to mingle', Vicky said that he is ready to mingle only with audiences on stage. Vicky Kaushal's breakup with Harleen Sethi has been the talk of the town for quite a while. Harleen has unfollowed Vicky on Instagram and she has also reportedly liked several posts on heartbreak. Although Vicky and Harleen's romance was short-lived, we can't forget how adorable their PDA was. Vicky Kaushal opened up on a recent chat show, where he admitted that he has been in love with Harleen ever since they met at a party last year. "We happen to meet through common friends. It felt right from the very beginning. We never questioned it. The beginning isn't too far off. It only started last year. It was beautiful to get to know each other," he confessed. The couple has actively supported each other. Vicky joined Harleen during the screening of her web series Broken with ALT Balaji, while Harleen also attended the success bash of Vicky's Uri: The Surgical Strike. When Vicky was invited on Neha Dhupia's chat show, he dedicated Diljit Dosanjh's hit song, Do You Know Main Tenu Kinna Pyaar Karda to Harleen. Now that the rumour has been confirmed by the Raazi actor himself, we wonder what the reason for the split was. 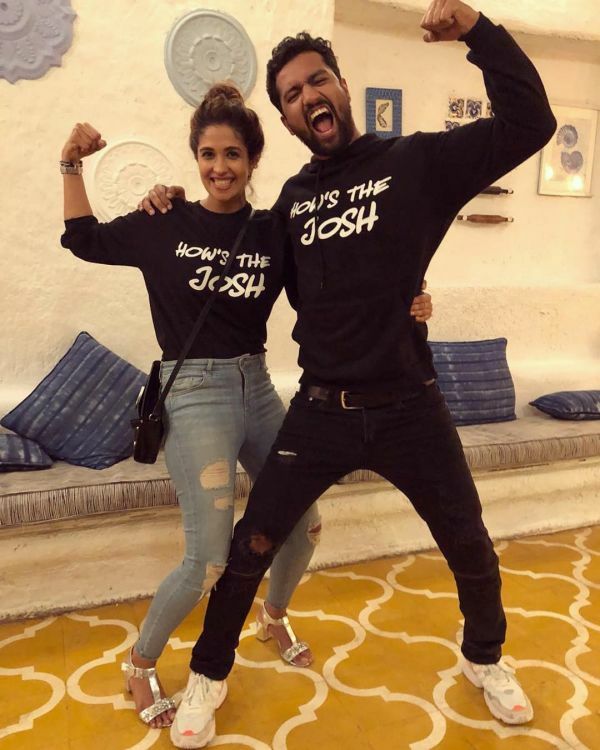 Some sources suggested that Vicky's closeness to co-star Bhumi Pednekar created a dent in his relationship, while others hinted that Katrina Kaif and Vicky Kaushal have been hanging out a lot. Apparently, the most eligible singles of B-town, Vicky and Katrina are now more than friends. From singing Mujhse Shaadi Karogi to bonding at Zoya Akhtar’s house party, they have been spotted many times together. During an award show, when Vicky Kaushal and Katrina Kaif were together on-stage, the actor used the opportunity and even asked her, "Mujhse Shaadi Karogi?" to which Katrina blushingly replied, "Himmat nahi hai (I don't have the courage)." On the work front, Vicky will soon start shooting for Shoojit Sircar's Udham Singh, which will hit the screens sometime next year. He is also gearing up to work with Bhumi Pednekar in a horror comedy film and is also a part of Karan Johar’s multi-starrer Takht.